I'm a fan of big messy hair, but now and again I want a sleeker look. 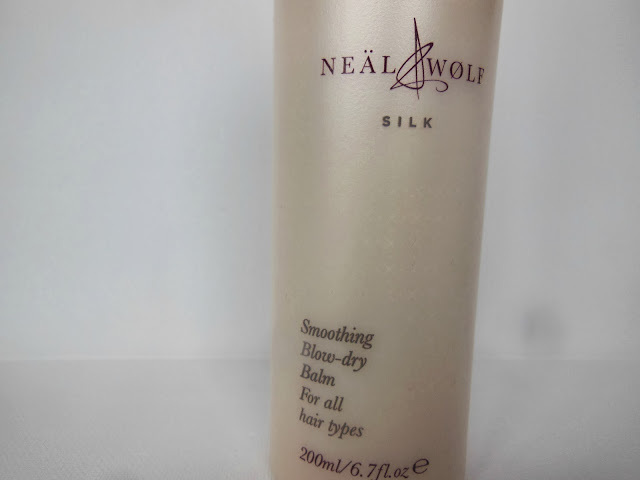 On those days there is only one product that I reach for; Neal & Wolf's Smoothing Blow Dry Balm. I have quite a few products from Neal & Wolf in my collection, but this is definitely one of my favourites. 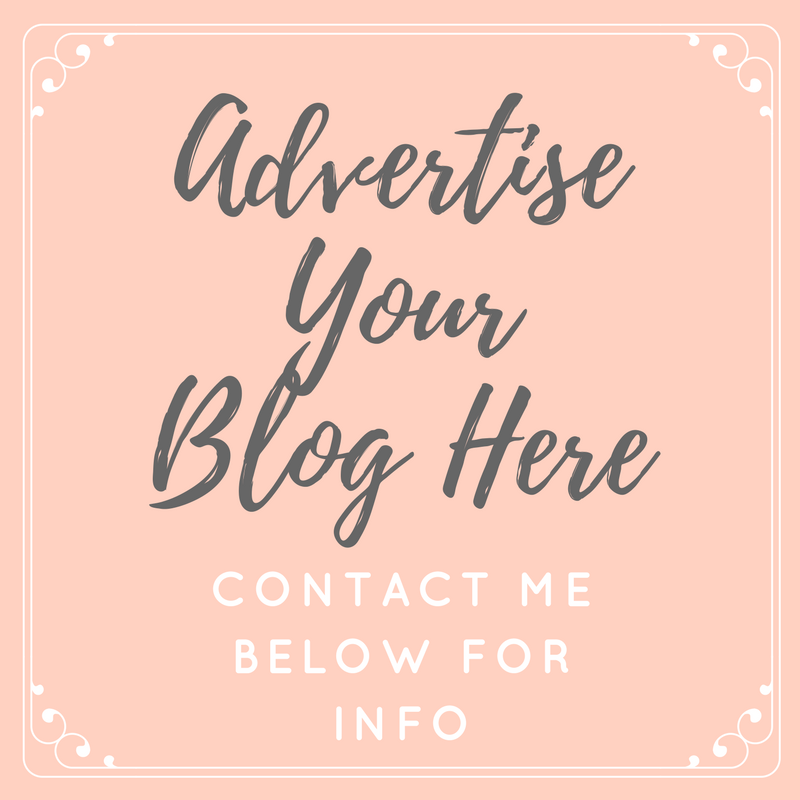 I take a small blob of product into the palm of my hands, and work it into my towel dried hair from mid length down to the ends and when the majority of the product had disappeared, I run my hands through the rest of my hair. After this, I carry on with styling as normal... 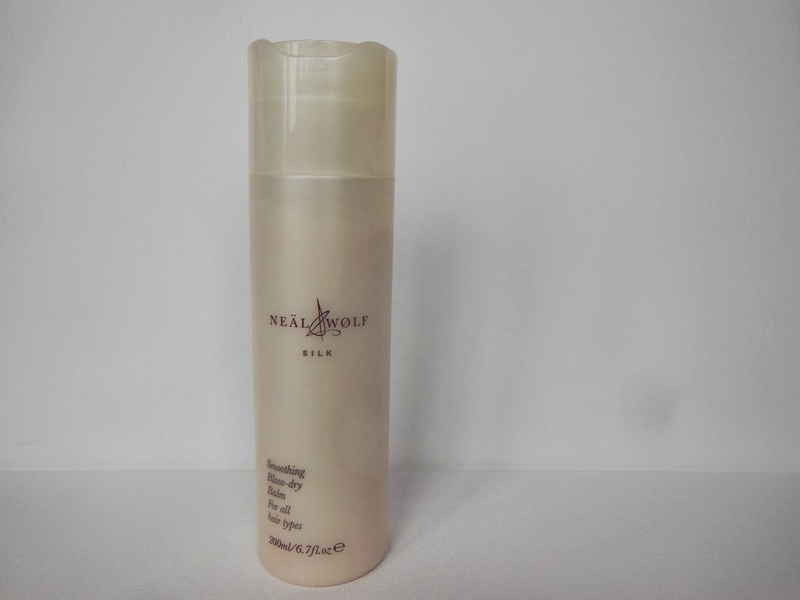 I never really blow dry my hair straight, but when I'm using this and going for the sleeker look, I like to alternate between brushing through my hair with my Michel Mercier brush and blow drying until my hair is dry and ready to style. I then use my Cloud Nine Straighteners to complete the straight and sleek look. When I style my hair this way without the Neal and Wolf Smoothing Blow Dry Balm, my hair (which is naturally really thick and wavy) is left with a lot of fly away hairs, the ends of my hair appear in worse condition and the waves soon start to make an appearance after I step out into the fresh air. However, when I use this product and style my hair as above, I'm left with sleek, straight, glossy hair. The fly aways and any frizziness is gone, any split ends are less noticeable (I'm in such desperate need of a cut!) and the sleek look definitely sticks around a lot longer before my waves start to sneak back into my hair. I'd really recommend that you give this product a go, especially if you have a similar hair type to me. I must also mention, that it doesn't weigh my hair down at all... I've tried similar products in the past, which work as well as this one, but I could always feel the product in my hair, and with this, I really can't, it just feels natural. It also has a wonderful 'hairdressers' smell, which I love! Have you tried anything from Neal & Wolf?